Schools went back this week and it seemed that the two-week Easter holidays just flew by here (and will haven’t even reached Easter yet, most bizarre). 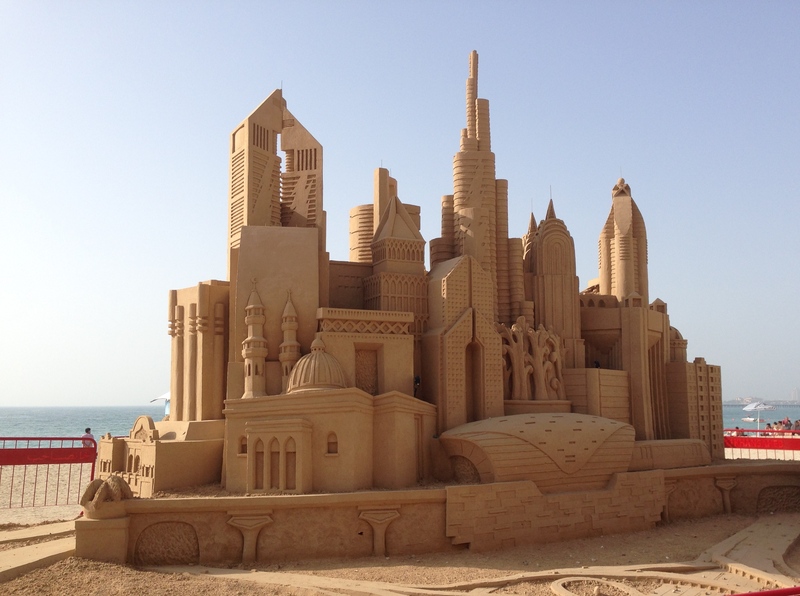 The teenager was in full GCSE revision and drama rehearsal mode and the other half had a conference so that ruled out a spring break vacation to other shores, so instead we had a little Staycation down the road in Dubai. I was on a mission to explore different areas and options as well as the usual suspects so I dragged the teenager around the sights, old and new. 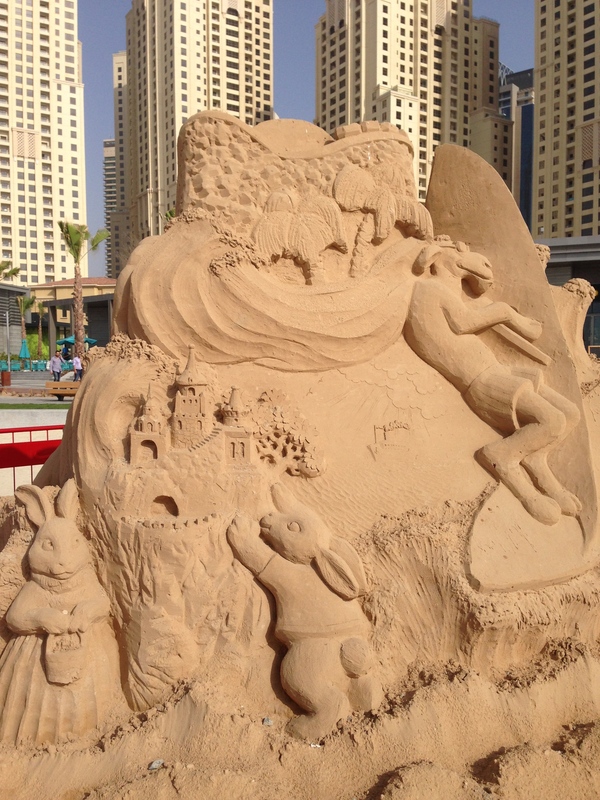 First off we headed off to an old favourite of mine, JBR (Jumeriah Beach Residences) and then to the newly opened ‘The Beach’. 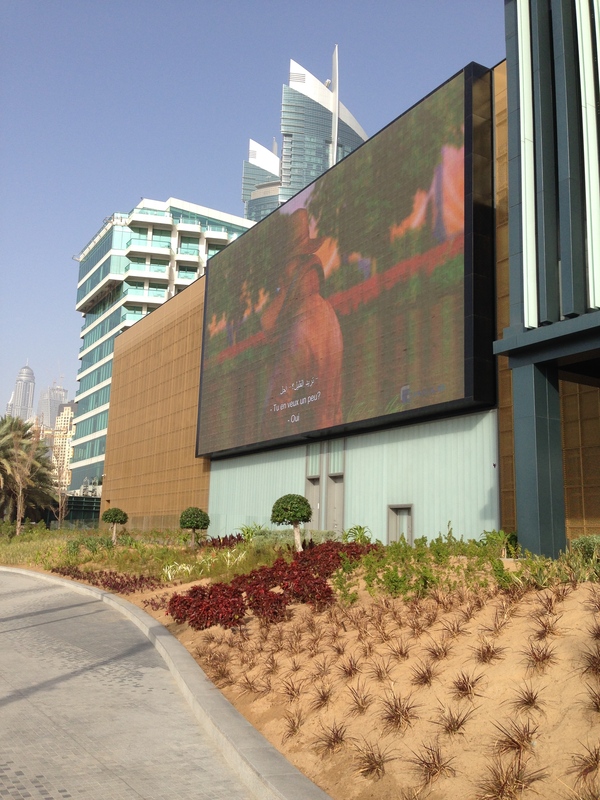 Located on the beachfront opposite JBR, ‘The Beach’ is a one stop recreation destination with shops, restaurants and a Reel cinema that also boasts a giant outdoor screen and outdoor setting area. 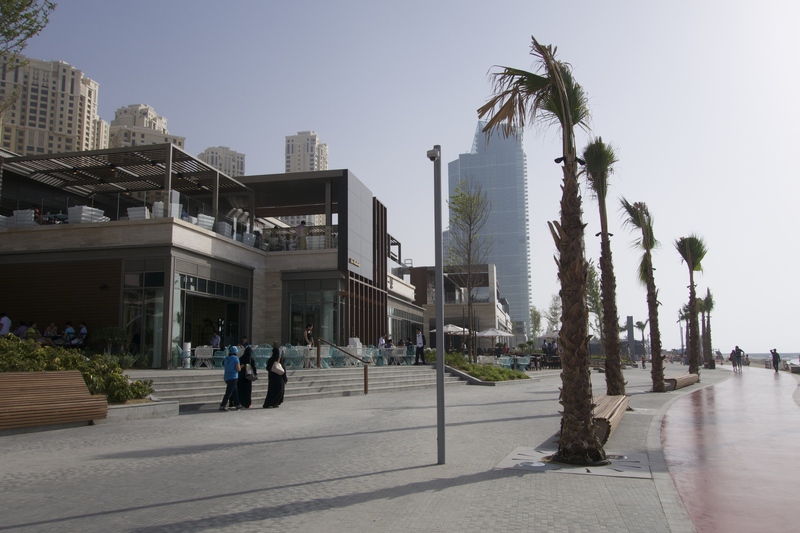 The pedestrianised esplanade has several linked plazas that house a mix of casual eating and fine dining outlets along with a scattering of familiar retail giants, all set against the backdrop of JBR’s towering apartment blocks. 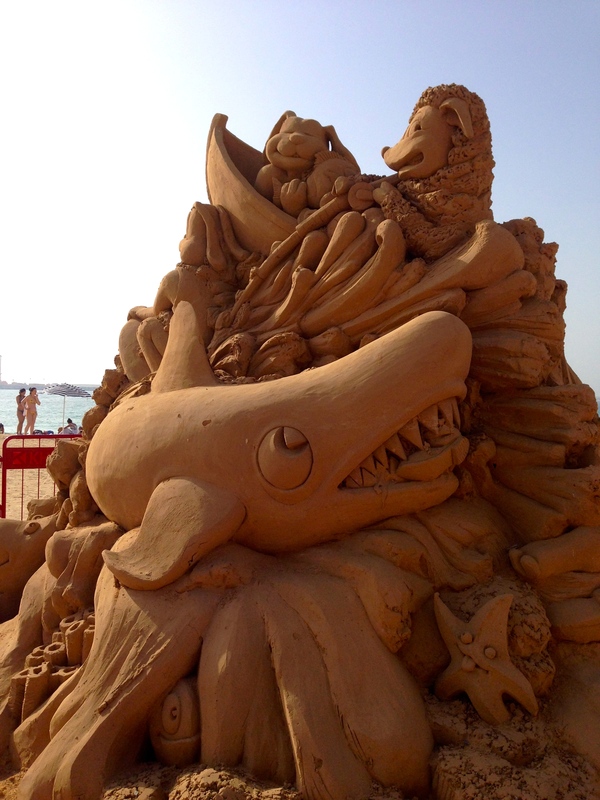 Here’s a few sandcastles that the teenager and I made with our small bucket and spade …….NOT! 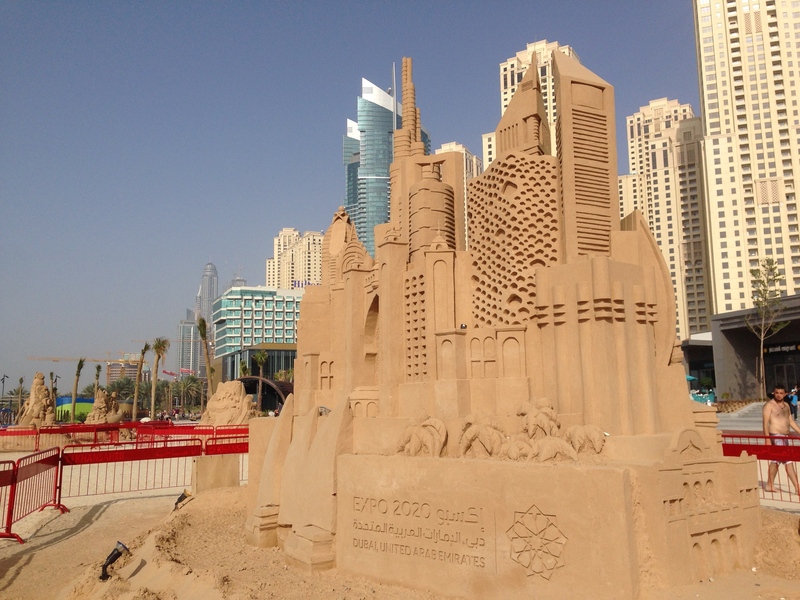 At the moment in a nod to Dubai’s successful Expo 2020 bid, there are a number of impressive sand sculptures on the actual beach including one of city skyline which is simply amazing. 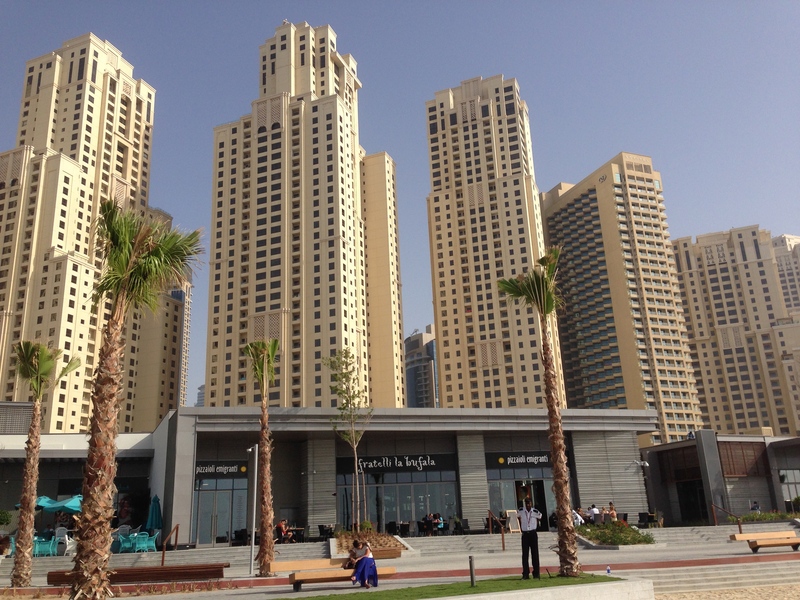 Dining al fresco for lunch was followed by a really tasty gelato which all added to the holiday feel (also seeing tourist taking camel rides on the beach helped) and that was only the first afternoon with more fun in the sun planned for the next day. The other half joined us post-conference for dinner with Dubai based friends at the fantastic Reform Social and Grill gastropub located within The Lakes community. If you are in that area I can highly recommend the venue for a relaxed evening of quintessential Britishness with some old tunes playing, an extensive menu and really fabulous food. Based on its London counterpart in Marylebone, it was little taste of home for this British Expat, chips to die for and scrumptious apple crumble and custard,YES they had custard!! It’s the little things people, I’m ashamed to admit how happy custard made me, however not as merry (in every sense of the word) as the other half when he found out they had London Pride on tap! 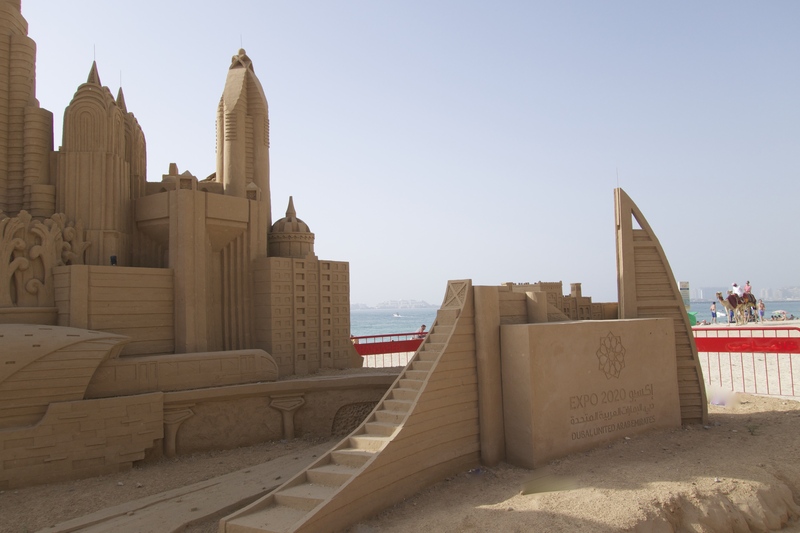 Just a few minutes walk away is the Dubai museum located within Al Fahidi Fort detailing the history and evolution of the once small fishing city and all its traditions. Streets leading away from the museum towards the creek are filled with local wares and fabrics that make up the textile souk (see Weekly Photo Challenge: Street Life). 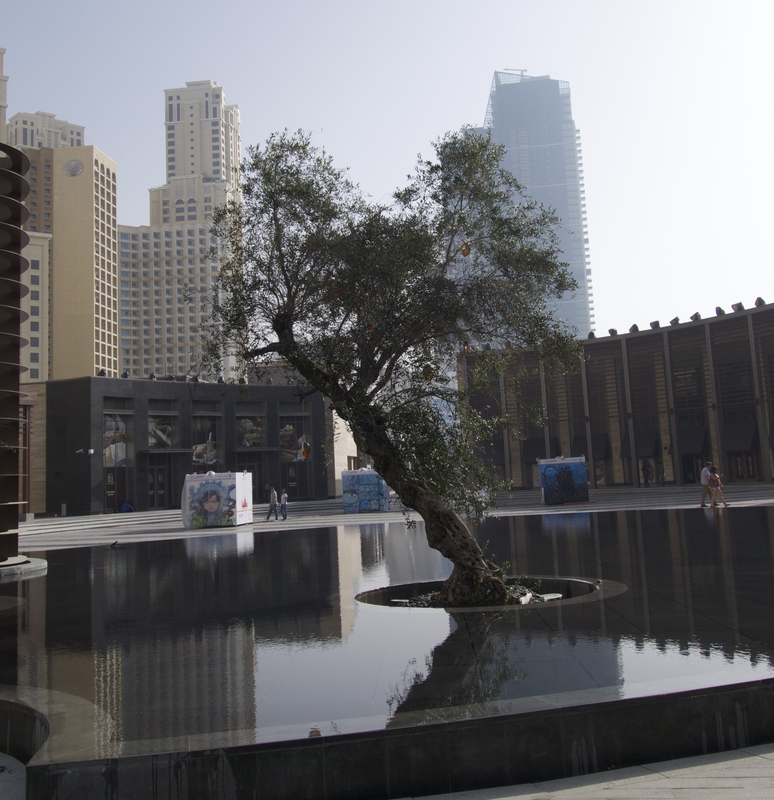 A few dirhams buys you a trip along the creek on a traditional wooden Abra with the option to disembark at the spice and gold souks if you have the inclination and the energy to ward off the persistent and vocal street traders. Escaping the intense midday heat we headed off to the Dubai Mall (it was enviable we were going to end up there, just a case of what time and the teenager was getting twitchy), challenging our inner ‘Big Bang Theory’ we dinned at the vast American eatery The Cheesecake Factory followed by a spot of retail therapy. 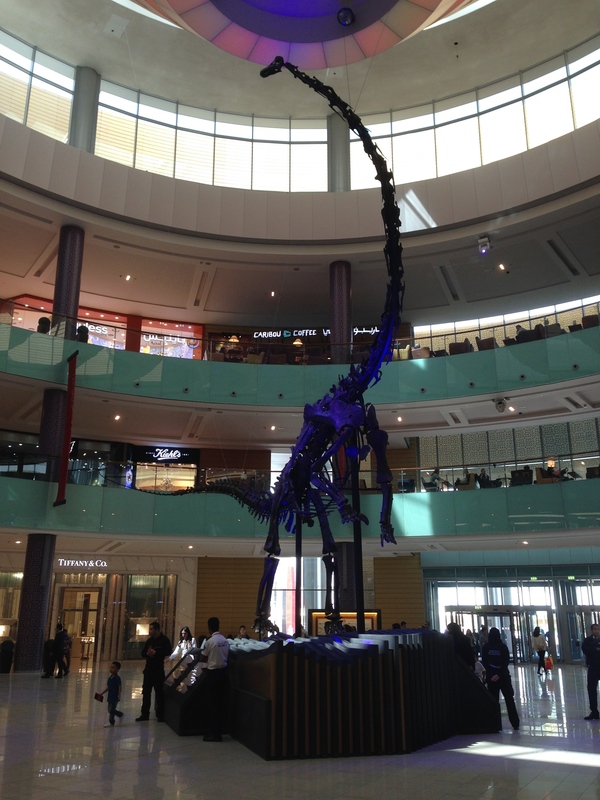 We got to see the original skeleton of the long-necked whip-tailed sauropod (that’s ancient dinosaur to you and me) in the flesh (or should that be bones) as she resides majestically on display at the entrance to the Dubai Mall. 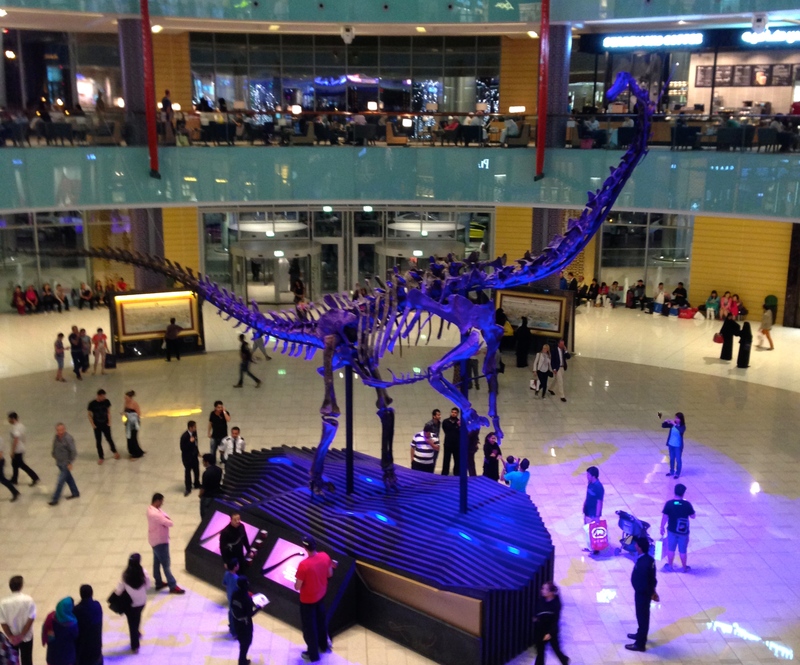 The 80 ft long and 25 ft high skeleton who hailed from the Jurassic era is over 155 million years old and was found at the Dana Quarry in Wyoming, USA back in 2008 and was air-freighted to Dubai to its new home at the mall. Why, you may ask? 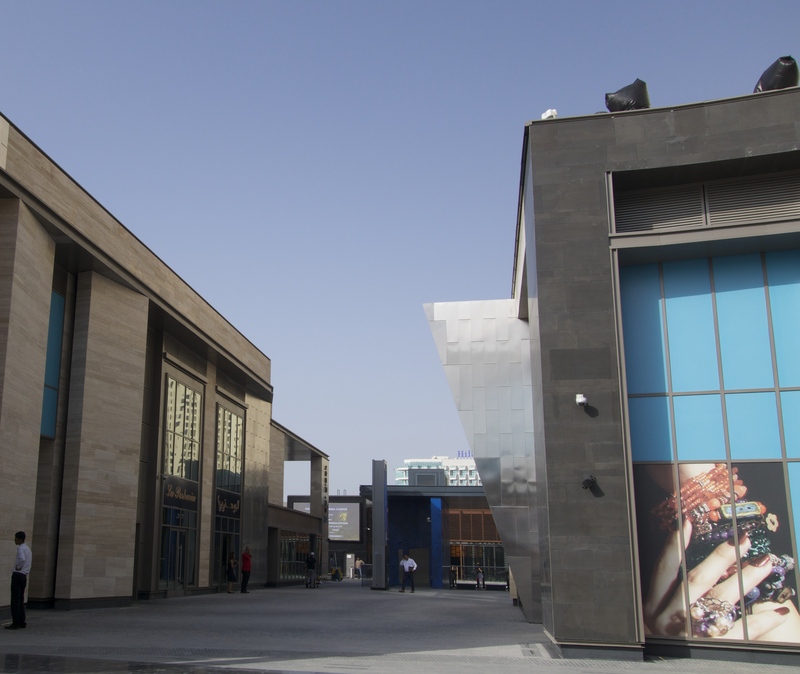 Well as you know from previous posts, the UAE and especially Dubai likes its unique attractions and this is the only exhibit of its kind in the world where the skeleton exists with nearly all its bones. Dinner was another al fresco affair (while we still can as it’s getting mighty warm when it’s not a raging storm) set to the music and fountain show under the shadow of the mighty Burj Khalifa, been there and done it I know but we still enjoy it, but not so much the swarms of tourists that are currently swelling Dubai’s coffers. 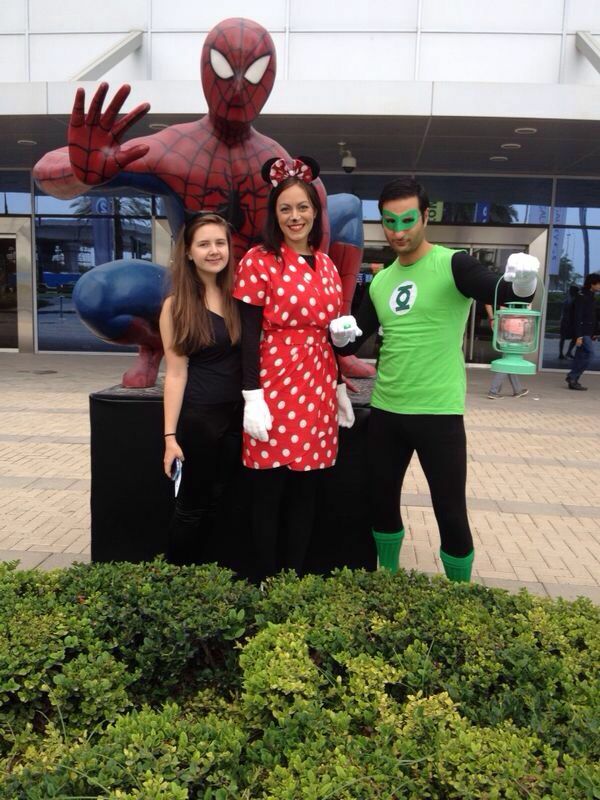 After a quick pit stop back in the capital and it was back to Dubai for the chavtastic Saffron Friday brunch at the Atlantis Hotel on the Palm while the teenager channelled her inner geekiness at the Middle East Film & Comic Con (MEFCC) event at the World Trade Centre dressed as cat woman along with the Green Lantern and Minnie Mouse. Such Fun! 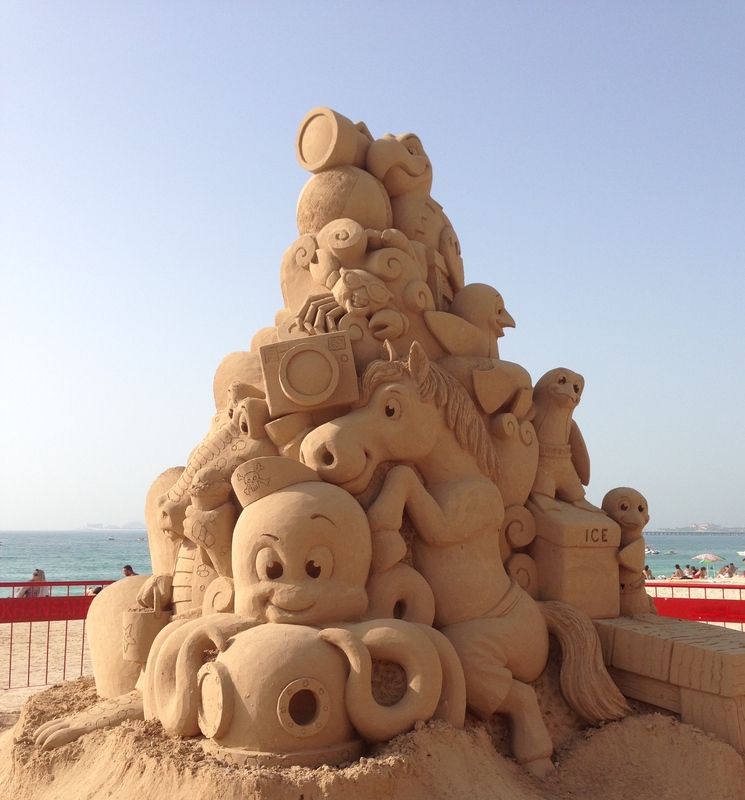 I do, I really do…..well for a few days anyway! Enjoyable write up with great photos. Day trips are never long enough.